By the death of Mrs. Henry Dobson at her residence, Elboden House, Elboden Place, Hobart, yesterday at the ago of 91 years, the community has lost one of its most notable women. Mrs. Dobson in a long and useful life was an active participant in intellectual and social welfare work, and her gracious personality endeared her to all with whom she came in contact. Her death will be mourned by a wide circle of friends in Tasmania and in other parts of the world, for as a vice-president of the International Council of Women, she was widely known in England and many other countries. 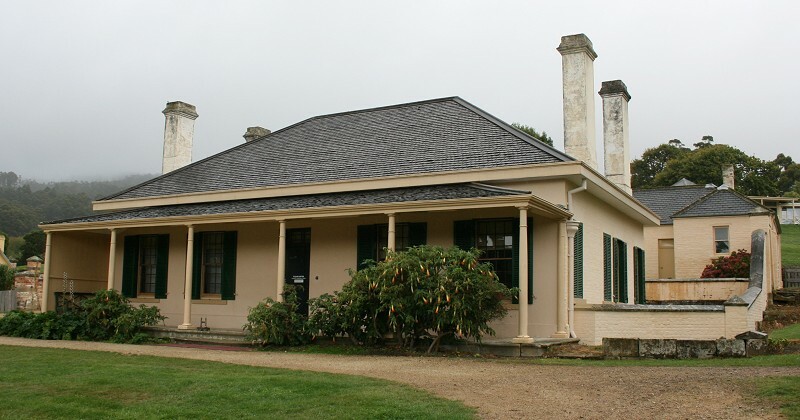 Mrs. Dobson was born at Port Arthur (Tasmania) in 1843, her father, who was a member of a noted English family named Lempriere, being Imperial Commissary Officer at the penal settlement. She was educated at home and did not attend a school. She married in 1868 the Hon. Henry Dobson, who for some years held the position of Premier of Tasmania. Mr. Dobson was one of those who helped in naming the Federal Constitution of Australia and in addition to his service in the State Parliament was a Senator for many years Mrs Dobson was associated with the National Council of Women in Tasmania for a very long period and occupied the position of president of the State section from 1904 up to the time of her death. In 1906 she was appointed president of the Australian National Council of Women and held the position for some years. Last year she visited England for the 33rd time having made many voyages overseas to attend conferences of the International Council of Women. Since the first council meeting she attended in London in 1899 Mrs Dobson missed only two executive meetings of the council, which meets five times in every five years. Although in recent years the burden of years had compelled her to curtail her numerous activities in community welfare work Mrs Dobson retained an active interest in many movements al most up to her death. She founded and was president of the Women’s Health Association in Hobart and was first president of the women’s committee of the Tasmanian Institution for the Blind, Deaf and Dumb in which she took a keen interest. She held the position of president of the Free Kindergarten Association which has done valuable work in regard to the welfare of children of tender years in Hobart. Sho was the founder and for many years was the president of the Tasmanian blanch of the Alliance Française and in recognition of her work in this connection in Tasmania she received a medal from the French Government carrying the distinction of an Officer of Honour of Public Education. Mrs Dobson founded the Victorian Convalescent Home at Lindisfarne and was president of the committee of management for many years. She was first State Commissioner of the Baden Powell Girl Guides in this State. The Lyceum Club was founded by Mrs Dobson who was president of the club up to the time of heir death She was life patroness of the Bush Nursing Association of Tasmania and a vice president of the Tasmanian Branch of the League of Nations Union, the Victoria League of Tasmania, the Child Welfare Association, the Women’s Christian Temperance Union, and the Art Society of Tasmania. Mrs Dobson was one of the founders and the first president of the Tasmanian Sanatorium for Consumptives at New Town and held the office of president of the Ministering Children’s League in Tasmania since its inauguration by the Countess of Meath in 1892. She was proud of the fact that she was appointed by the Deakin Government to represent Australia at the International Women’s Suffrage convention at Amsterdam some years ago.